We are acutely aware of New Zealand and the world’s recycling capability challenges and the fact there may not be recycling services available for some plastics in the future. While every IdealCup™ is designed for a lifetime of reuse, we are realistic enough to know that some product may end up being disposed of. With this in mind we would like you to know about our approach to product stewardship. We take our product stewardship responsibilities seriously. Our ethos means from design, manufacture, sale and use, everyone takes responsibility for minimising every IdealCup's environmental impact throughout all the stages of its life cycle. We have a service level agreement in place with our manufacturer, Synapco Industries, ensuring every facet of their IdealCup production processes are carefully considered and meet our strict sustainability standards. Synapco buy in to this ethos wholeheartedly and we enjoy a very positive relationship with them. All our RETAILERS are sent a Mission Possible Pledge Card, asking for their commitment to follow our Product Stewardship guidelines and return to us, any IdealCup component which may be deemed at the end of its useful life; so we can manage it accordingly. So that means, some of our IdealCups are made from recycled material. Read more about this in our FAQs tab. What happens if I feel my IdealCup has reached the end of its lifecycle? 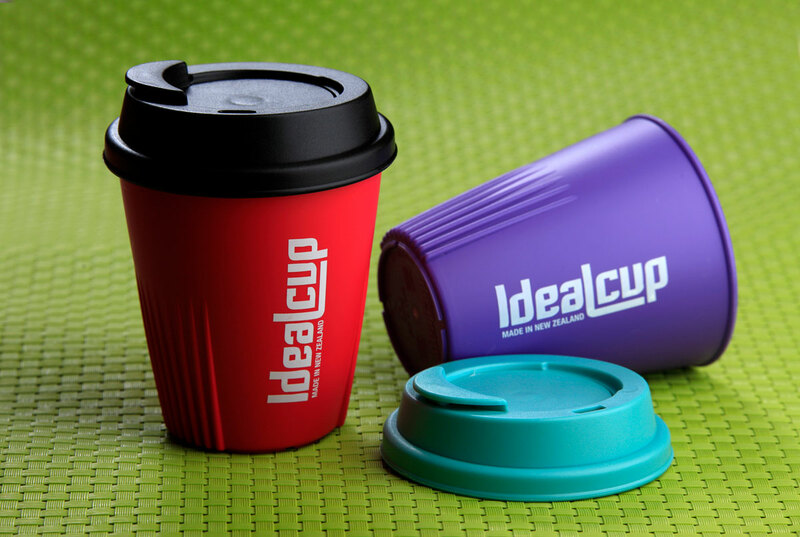 Any IdealCup which is deemed unusable or comes to the end of its useful life, can be either put into current New Zealand kerbside recycling where it will be taken for standard recycling, or it can be returned to us at IdealCup and we will ensure it is sent to Synapco for re-purposing. Synapco has equipment which grinds the product back to its original material form and then it will be re-moulded into new IdealCups. We request and encourage ALL IdealCup retailers to accept any IdealCup or component thereof, which might be deemed to be at the end of its useful life and return those to IdealCup, for re-purposing by Synapco. This system comes at NO COST to our retailers. They simply agree to be a drop-off point regardless of whether the customer has purchased their IdealCup from them, or another retailer. Our retailers are happy to support the effective lifecycle management of the IdealCup – in fact it's a very positive talking point for them and their customers. We offer a lifetime guarantee on the cup component and a one-year warranty on the lid component. The lid is made of a softer material and depending on usage, cleaning and handling, may not last a lifetime. Generally speaking, if any of our customers contact us to say they have an issue with their lid and they're happy to send us pics and better yet, return it to us (so Synapco can re-purpose it), we will happily replace the lid at no charge, even if it's outside of its one-year warranty. We have many many happy IdealCup customers who have been using their cup and lid for 8+ years, without any issue or compromise. We proudly stand by our product and its lifecycle management.